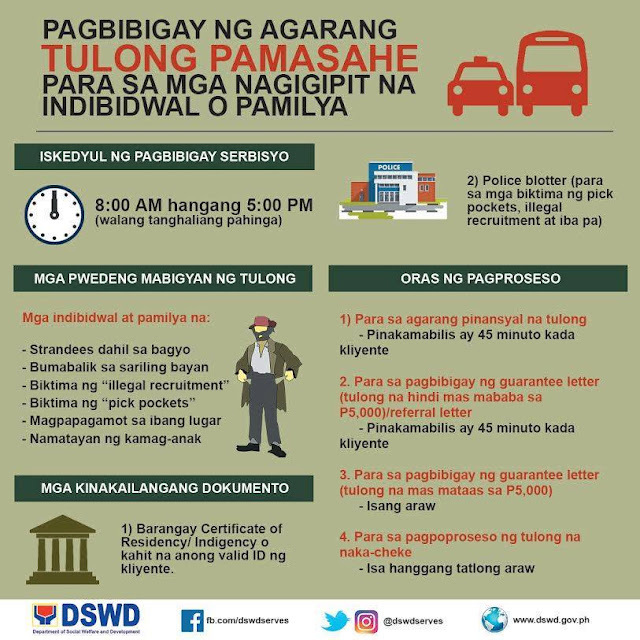 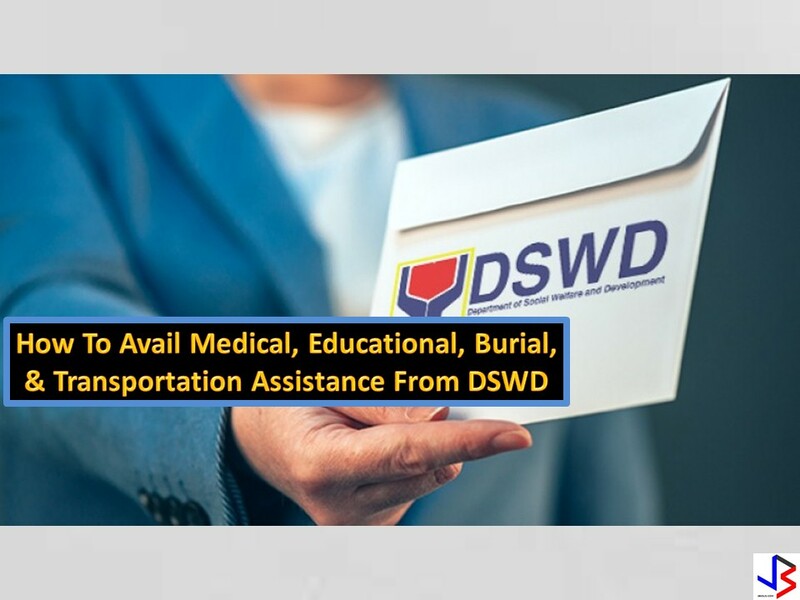 THOUGHTSKOTO Thoughtskoto : HOW TO AVAIL MEDICAL, EDUCATIONAL, BURIAL AND TRANSPORTATION ASSISTANCE FROM DSWD? 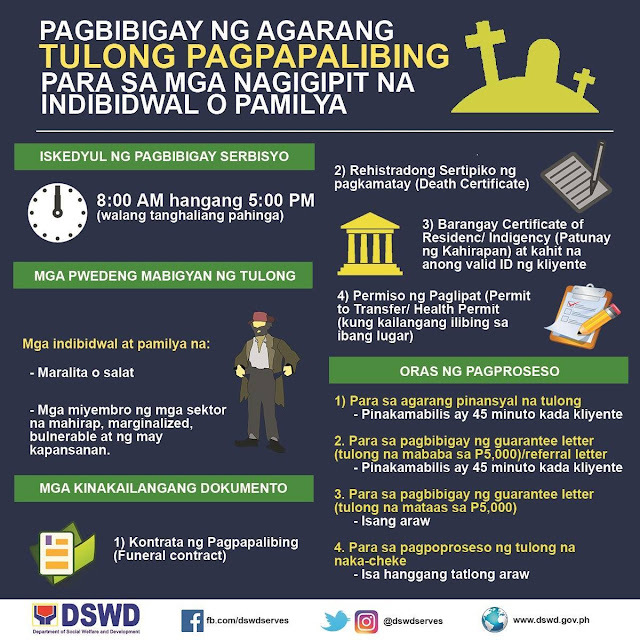 The Department of Social Welfare and Development (DSWD) offers different types of assistance to those in need which include the Assistance to Individuals in Crisis Situations (AICS). FOR EDUCATIONAL ASSISTANCE - Beneficiaries can choose from assistance for tuition, allowance or for school supplies. 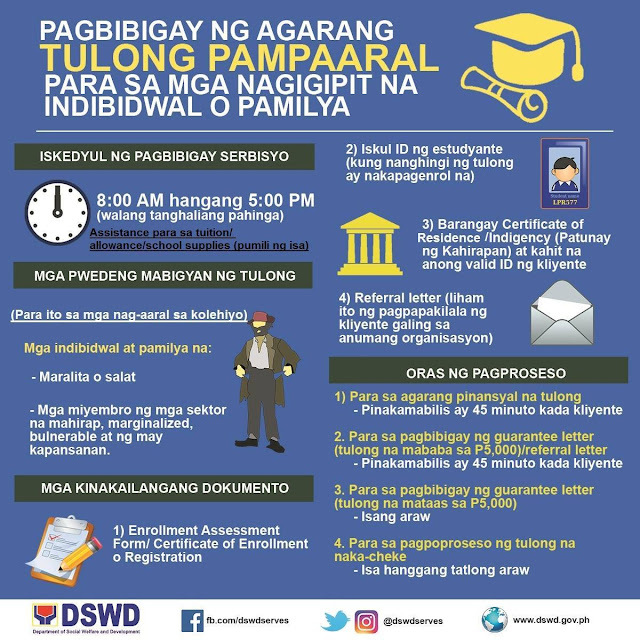 This is for college students only. 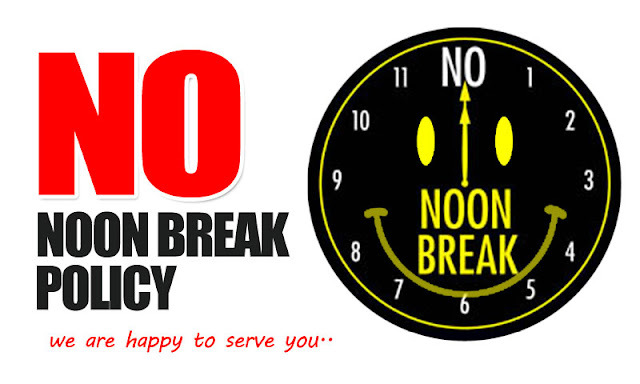 DSWD observes "No Noon Break Policy" and caters clients from 8:00 am to 5:00 pm straight. But before going, be sure to complete your needed requirements to avoid problems. 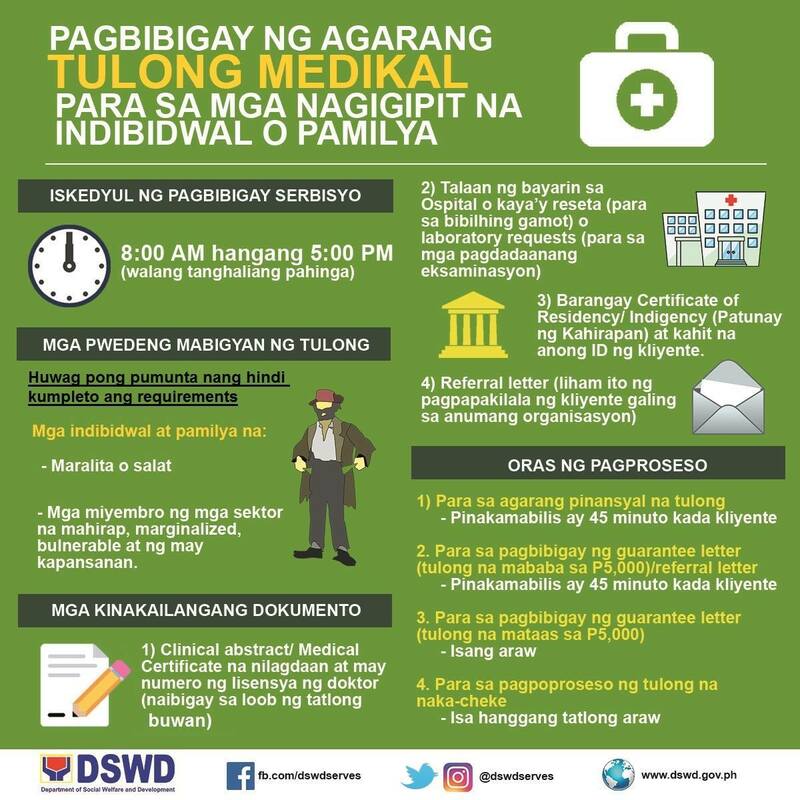 The ideal processing time is 50 minutes maximum per client exclusive of the waiting/queueing time.